President Rodrigo Duterte signed into law Republic Act (RA) Number 11213 or the Tax Amnesty Act of 2019, which provides amnesty for those with undeclared estate taxes and tax delinquencies, last February 14. Under the law, the government will now collect only six percent of the net undeclared estate tax for properties owned by those who died before January 1, 2018. Duterte vetoed provisions allowing a one-time settlement of estates for those properties under multiple unsettled estates and presuming the truthfulness of self-declared property values. It would thus seem that the six percent rate will apply at every transfer of property based on fair market values, and that the government will have to verify all estate tax amnesty returns. The President rejected more items in the original bill which would have granted a general tax amnesty for those who failed to pay correct taxes in 2017 and previous years. Citing potential abuse by tax evaders, Duterte called on Congress to pass another bill that would lift bank secrecy in cases of fraud, include mechanisms for the automatic exchange of information, and ensure truthful declaration of assets and liabilities. In conjunction with the Tax Reform for Acceleration and Inclusion (TRAIN) law, R.A. 11213 was envisioned by the Duterte administration to help raise revenues and expand the tax base in support of its priority development programs. The law also grants amnesty on tax delinquencies, covering all national internal revenue taxes such as income tax, withholding tax, capital gains tax, donor’s tax, value-added tax, excise tax, and documentary stamp tax. The amnesty tax rate is 40 percent of the delinquent tax. Those whose cases have been subject to final judgment by the courts will have to pay 50 percent. Pending criminal and tax evasion cases merit 60 percent of the tax assessed, while those who did not remit withheld taxes have to pay 100 percent. “We hope that in availing [themselves] of this amnesty—a very, very generous reprieve from the state, taxpayers would feel more encouraged to pay the right taxes, and be more empowered to be good taxpayers in the future,” Dominguez said. January is time for Business Permit renewal in the Philippines, and should be done between January 1st – 20th, 2017. The law requires, every business establishment to annually renew its registration with the local government unit (LGU) that has jurisdiction over its place of business. Authorization Letter authorizing the representative to process all the above. Business tax is imposed upon the company’s gross sales or receipts. Rates vary depending on the nature of the business under Section 143 of the Local Government Code of the Philippines. Gross Sales or Receipts include the total amount of money or its equivalent representing the contract price, compensation or service fee, including the amount charged or materials supplied with the services and deposits or advance payments actually or constructively received during the taxable quarter for the services performed or to be performed for another person excluding discounts if determinable at the time of sales, sales returns, excise tax, and value added taxes (Book II, Section 130 (n) Local Government Code). Local Government Units typically impose a 25% surcharge on the unpaid amount plus 2% interest per month, on top of the unpaid amount, if filing is not accomplished by January 20th. Failure to renew your business permit on time, may result in City Hall ordering the closure of your business. 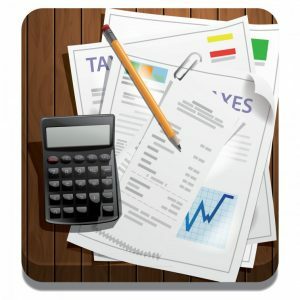 If Gross Sales /Receipts declared in the Company’s 2016 Business Permits are lower than the Actual Gross Sales /Receipts per 2016 Audited Financial Statements the company will be subjected to a penalty of 25% surcharge and 2% interest per month for any computed Tax Deficiency/Delinquency noted during assessment. Avoid the hassle of long lines and red tape, outsource your business permit renewal to Dayanan Business Consultancy.